Some may consider it ironic that the world's most famous secret agent has one of the world's dullest names. However, the name seems to accentuate Bond's other qualities. When Fleming was searching for a name for his character, he found his answer in a book called Birds of the West Indies which he had on his shelf. The author's name? James Bond. Amazon.com offers the following summary of the book. 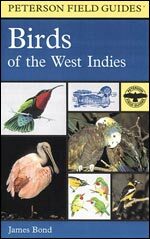 "Descriptions of more than 400 species of birds found in the islands of the West Indies include local names of birds, notes on migrants and winter residents -- as well as birds that breed there -- and voice, habitat, and range information. More than 340 illustrations aid in identification."